EAST GOSHEN, Pa. -- A man who allegedly gunned down his elderly parents at a Chester County, Pennsylvania retirement community is dead. 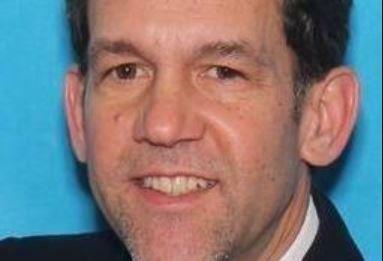 Authorities said on Wednesday that Bruce Rogal, 59, of Glenmoore, walked into the retirement community and fatally shot his parents William and Nancy, who were both in the late 80s, hours after his divorce was finalized. Chester County District Attorney Tom Hogan confirmed that Rogal was dead. He did not immediately confirm the cause of death, but there were earlier reports that Rogal, who was the subject of a manhunt after the killings, had crashed his vehicle. Hogan said in a post on his Facebook account that there was "no ongoing threat in Chester County. All law enforcement personnel involved are unhurt. It is a tragedy that the defendant killed his elderly parents." Hogan said earlier that Rogal had received an order finalizing his divorce that awarded the home to his ex-wife and "that appears to be what set him off today." Hogan said Rogal first went to the house where his ex-wife was staying where he found her in the driveway and shot at her but missed. Police said Rogal fled the retirement community after the shooting and was considered "armed and extremely dangerous."